I won't be making a ton of postings about this. This is the major posting. All other detail postings will be done on my own Facebook page. The Raymore Rumble is one stop of the KC Mini Series. or here if you avoid FB. Edit 1/15/18 - registration is half full. This is a full B-tier with $500 added cash to Pro Divisions. All players play 2-rounds on one day with divisions split on Saturday or Sunday. Amateur player pack will be a tournament stamped disc and an Innova stainless steel water bottle canteen. These bottles retail for $25. 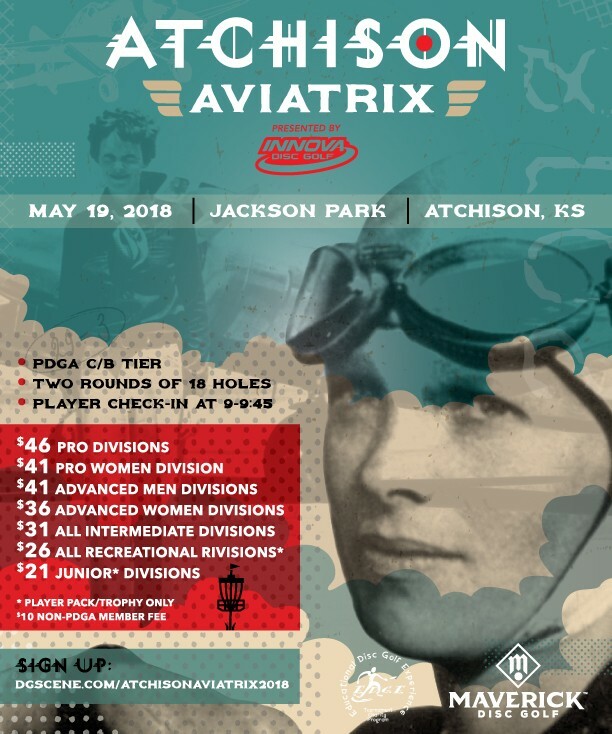 This event is one round on normal Crestview Topeka (calling it Crestview West) and one round on temporary course Crestview East which incorporates 6 holes from Edgewater mostly as is, 2 holes from Edgewater modified, 4 holes from Crestview Gold thrown backwards and 6 new holes not used in a tournament before. Updated map for Crestview East. Crestview Cup is this Saturday. 87 already signed up for this first time event. I've raised the cap on this tournament to 144. However, only the first 90 players (Pro or Am), of legal age, will receive the Yankee Tank pint glass. After that I will substitute Maverick DG plastic pint cups. All players underage will receive a plastic Maverick cup. If you strongly have a moral qualm with beer glasses, I will substitute a Maverick plastic cup for you. As this tournament is sponsored by a brewery, I really want to promote the brewery. Am - Innova premium disc (or 2 baseline DX discs), Yankee Tank Pint Glass (if you are one of first 90, otherwise a Maverick DG plastic cup) and a Maverick DG leather mini / coaster. Recreational Divisions only will also receive an additional swag item of either an Innova lapel pin, Innova patch, Innova bottle opener, etc.